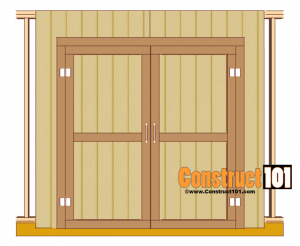 Below are step-by-step instructions to build a single and double shed door. 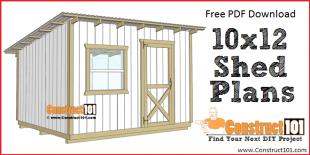 These shed door plans can easily be customized to fit most sheds. 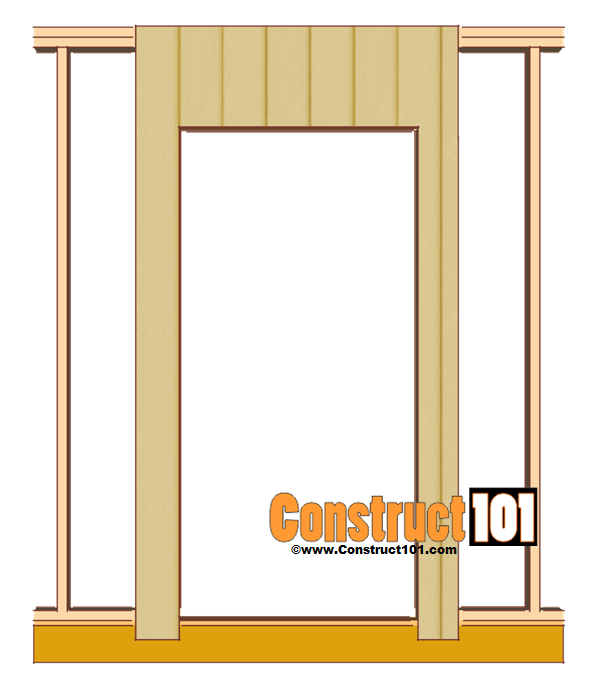 Begin by framing the door opening, see illustration above for details. 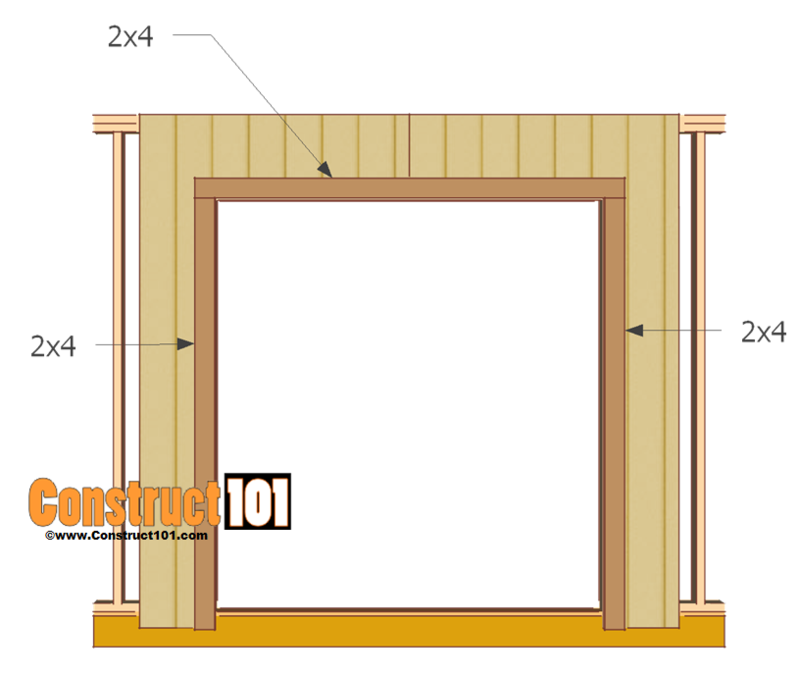 The header for the door can be built using 2×4’s or 2×6’s. 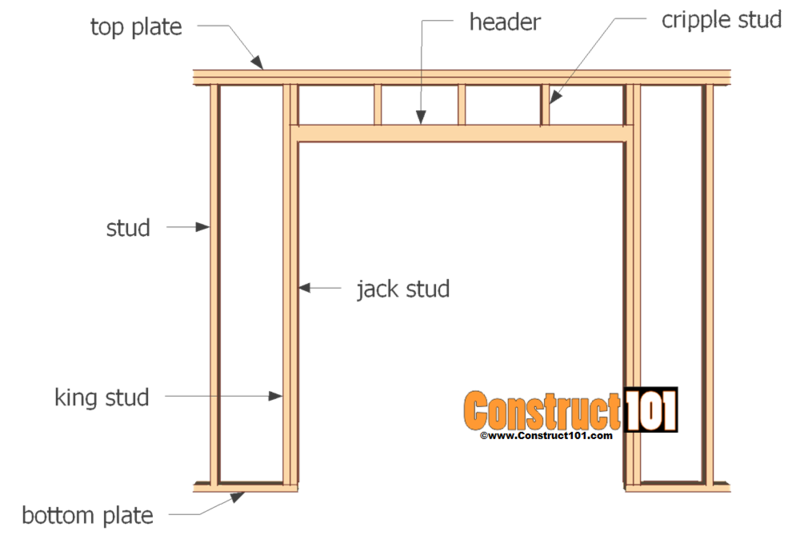 Cut two 2×4’s or 2×6’s to size, cut a piece of 1/2″ plywood and install between the lumber, see illustration above. 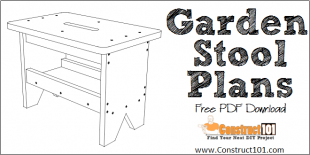 Assemble with 3 1/2″ nails. 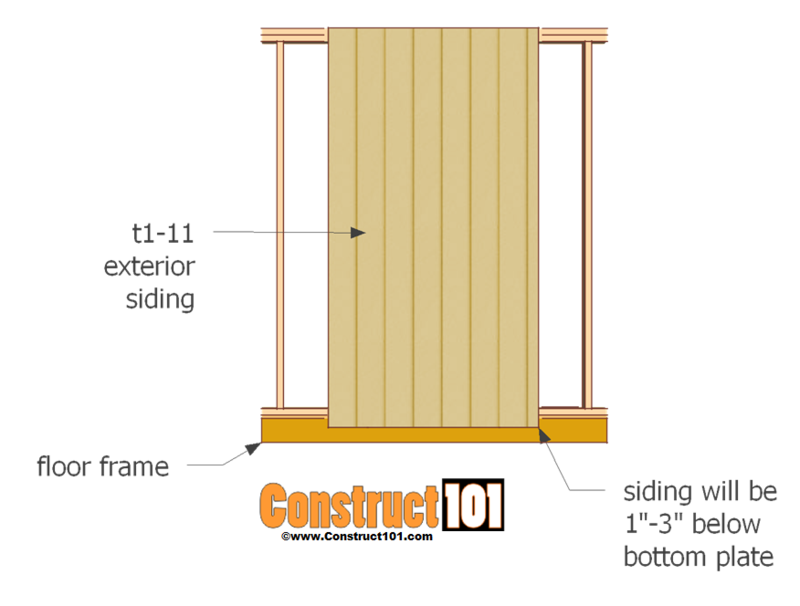 Install a t1-11 exterior siding sheet over the door opening as shown on illustration above. 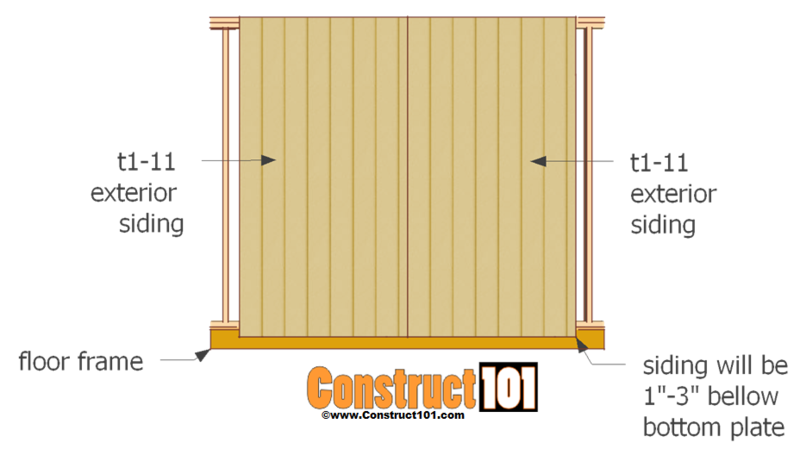 Secure the siding in place by nailing finishing nails through the siding and into the wall frame. 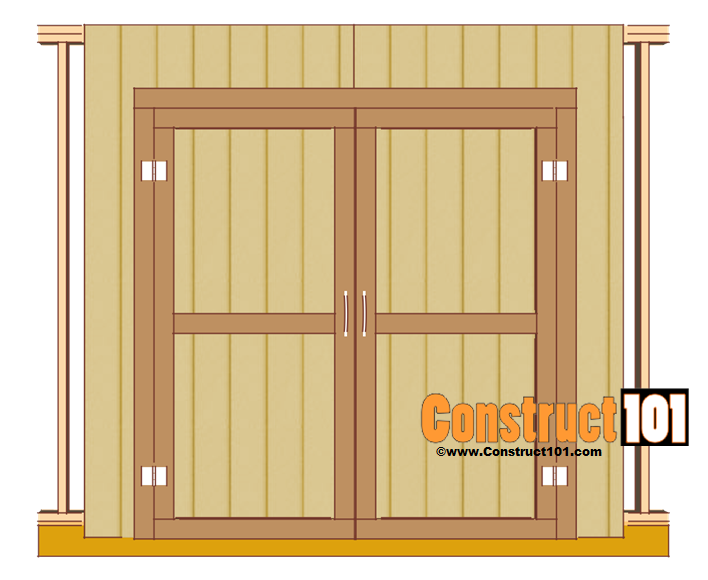 Carefully cut out the door opening, the door will be built using the siding that has been cut out. 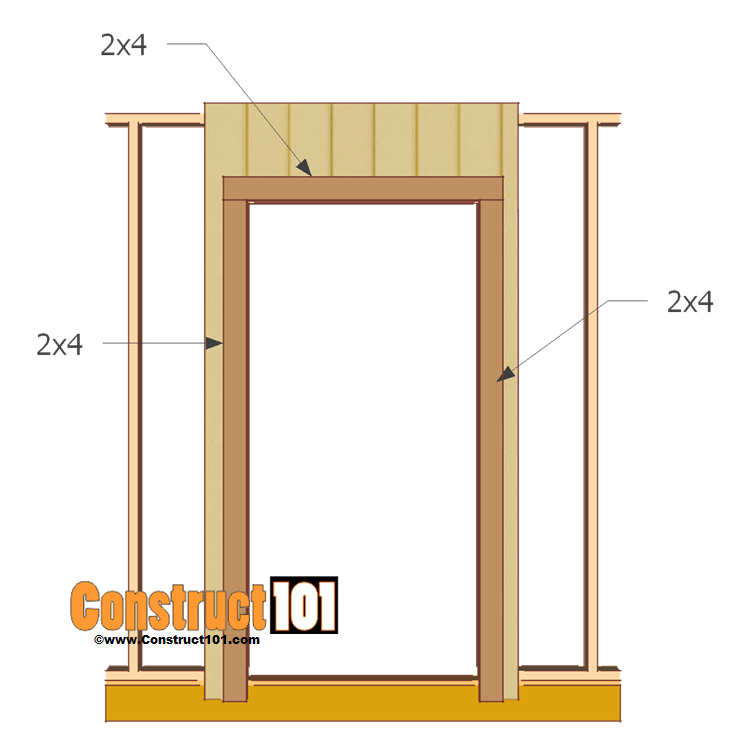 Measure and cut 2×4’s to go around the door opening. 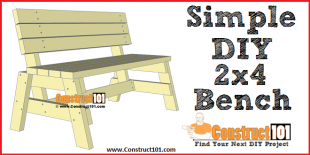 Install the 2×4 trim using finishing nails. 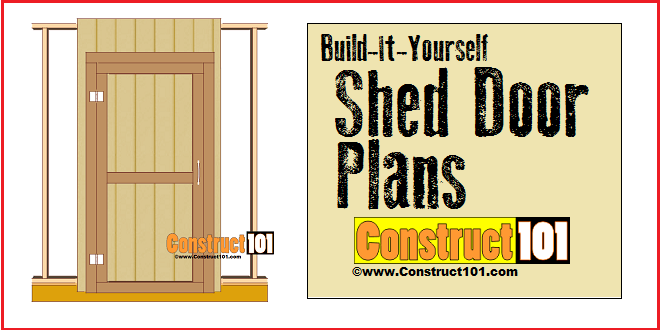 Build the shed door with the siding that was cut out earlier in the steps above. 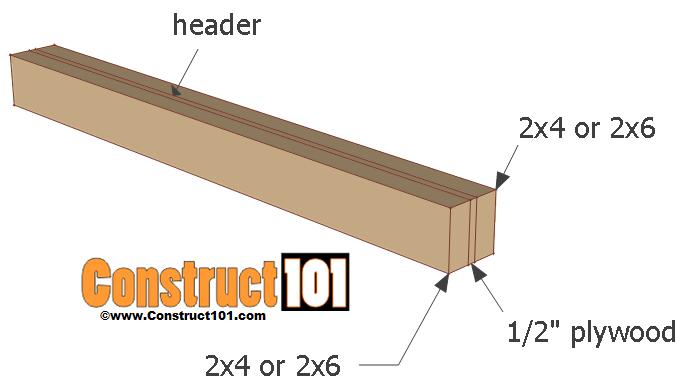 Lay the 2×4’s in a flat even surface, next lay the siding on top of the 2×4’s. 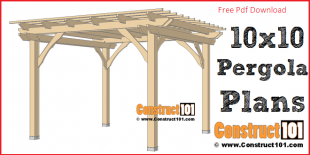 Nail 2″ nails through the siding and into the 2×4’s. 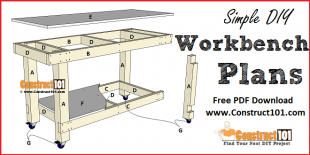 Attach the door hinges and install door. 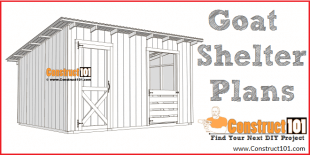 The double shed door will be built using two t1-11 exterior siding sheets. 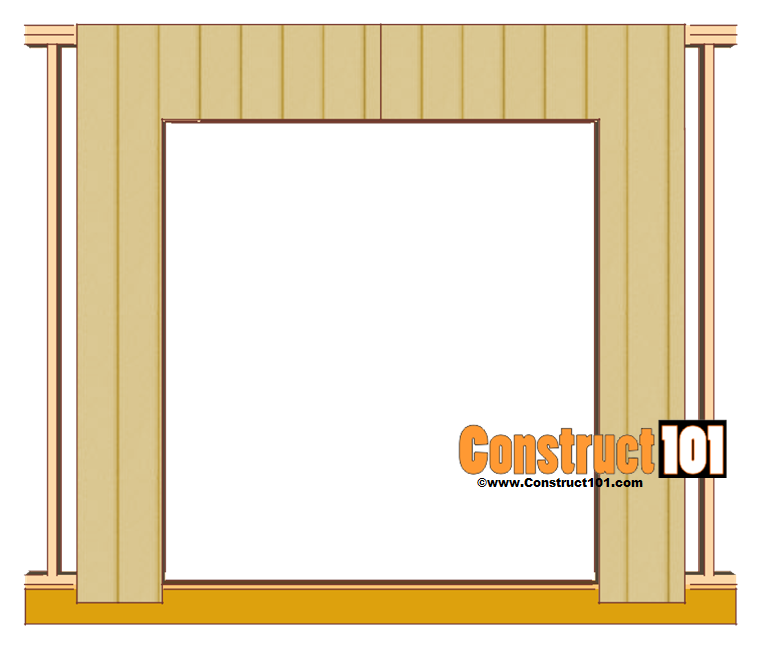 The T1-11 siding will have a lip that overlaps with the opposite side, leave the siding lip exposed. 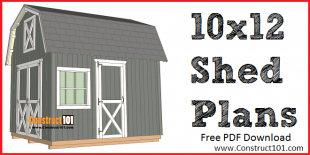 Like these shed door plans? Let me know, leave me a comment below. 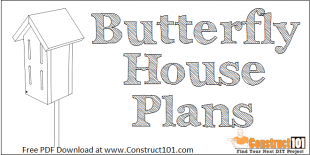 Share this link with your friends and your social media, thanks. Hi Good plane. How can I get it in PDF file ?? 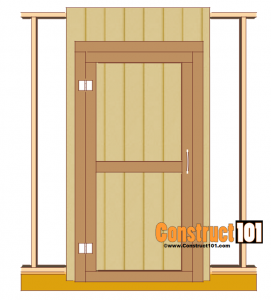 What size was the rough opening for the double and single doors? What do you mean “the t111 will have a lip that overlaps with the opposite side, leave the siding lip exposed”. Are you talking about the bottom? Thanks for your help! Ya. According to the design, if I’m seeing the diagram right, there would be no lip. It would be cut off. I live in SW FL where we get sideways monsoon-like rains frequently so I am worried about water intrusion & would welcome feedback. 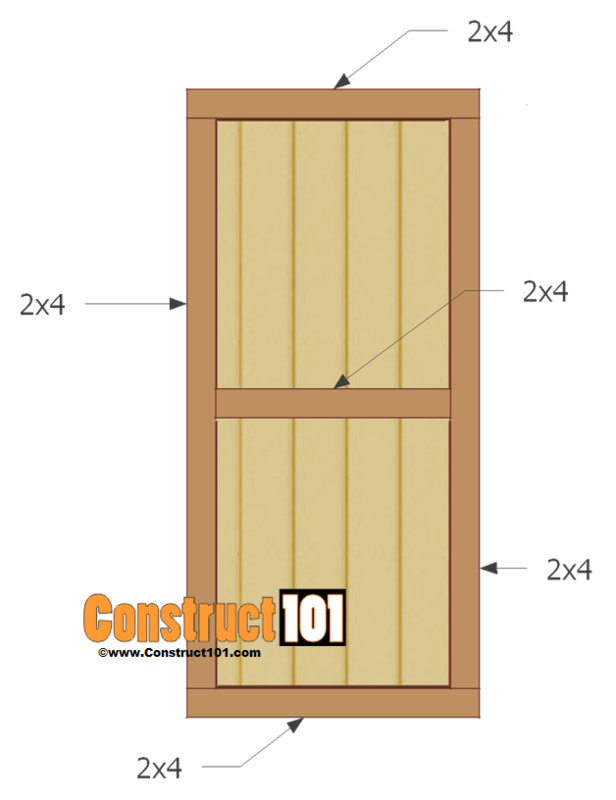 Wouldn’t it be better to install the outer 2×4 door trim panel to slightly overlap the cutout on the sides (~1″) & then recessing the side trim pieces on the door by an equal amount to allow the T1-11 door panels to seal the gaps on the sides (from the inside) when the doors are closed? 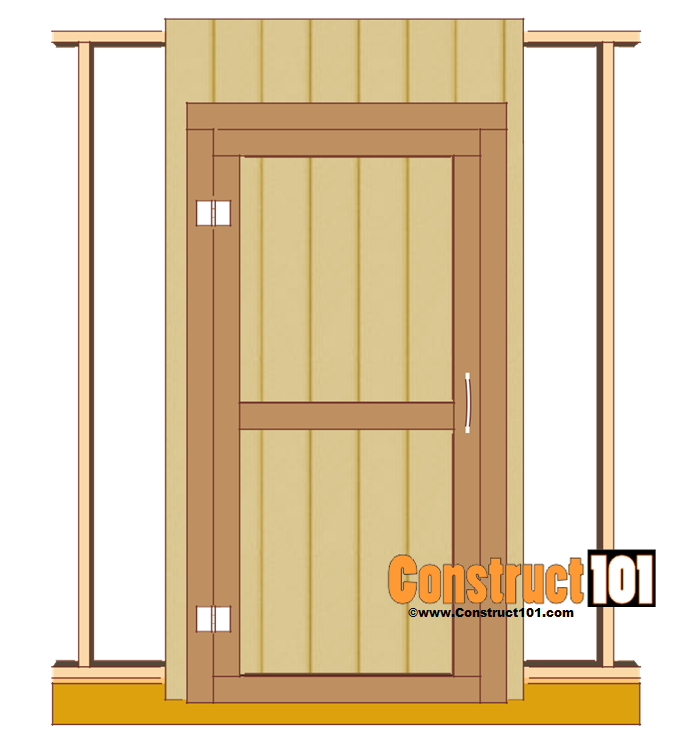 The same could be done where the two doors meet by overlapping the T1-11 on one door & recessing it on the other (relative to the trim panels) in order to seal the middle gap, requiring one door to be opened first & closed last. 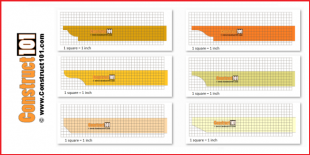 I realize that would require purchasing an additional panel of T1-11 to account for the extra few inches of width for the panels vs. using the cutout. 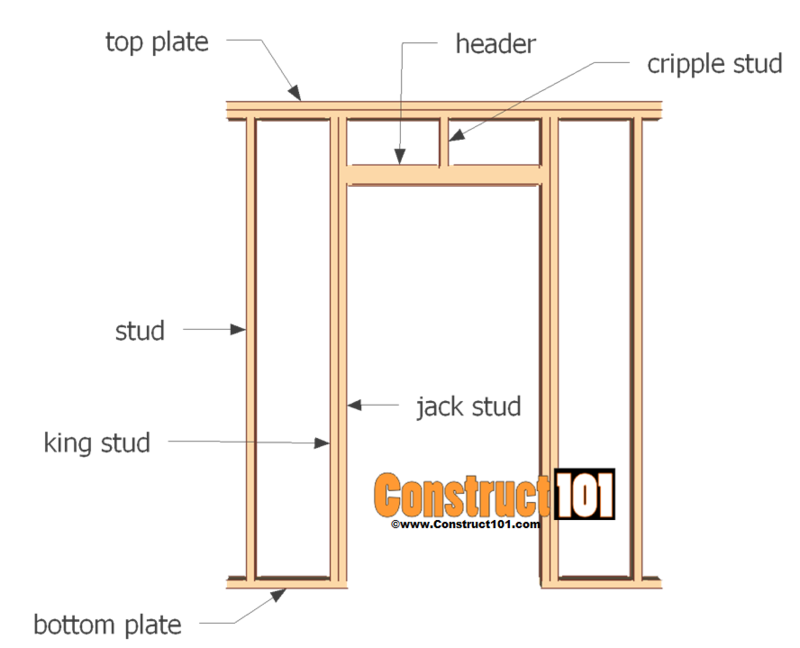 Otherwise, has anyone building the doors as above experienced any issues with the gaps or used weather stripping to seal the gaps on the sides, between the doors & above? I was disappointed that your excellent plans did not have dimensions for the door framing components. It took a while to figure the best lengths and distances. Also, I backed the seam between the outer door edge and the siding with amother stud for strength and to make sure the seam stayed water tight.